"The goal for me...is to maintain our visibility and top of mind [awareness] with our current customers. I hear a story every week where somebody says, "I didn't know you guys were doing that!" or "It really reminded me to come in." I had six people say that to me in the last four days, who have actually brought their cars in. For what I'm charged, it's totally worth it to have you guys do it for me. You do a remarkable job of producing the videos, creating the emails, and managing the database." In an unsteady economic climate, few business owners can afford any unnecessary customer detractors. House of Mufflers and Brakes owner Rick Bettger has begun strategizing a new marketing plan that incorporates a Vyral Marketing customer database video marketing series designed to tell customers and potential customers that despite its name, his business offers much more than just mufflers and brakes. Omaha’s House of Mufflers and Brakes is a long-established company with seven locations in and around Omaha. Owner Rick Bettger has been trying to overcome the limitations of the business’s name that he believes contributed to a dip in sales in 2012, when a combination of factors affected the auto repair industry. 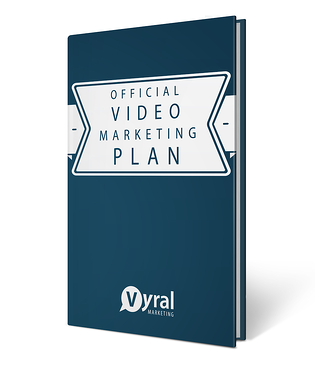 While the Bettger’s marketing strategy update is still being developed, he has wasted no time in tapping the potential of the Vyral Marketing "done-for-you" video service to spread the word that House of Mufflers and Brakes is a full-service auto repair and supply business. 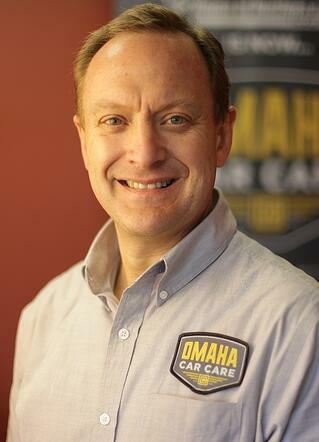 “What the Vyral Marketing service does, in addition to keeping us in touch with our customers, is it gives us the opportunity to show our customers and potential customers that we offer everything they need related to auto repair except body work and transmissions,” Bettger says. Bettger’s video blogs, which run between three and four minutes on average, offer viewers tips on everything from routine car maintenance to alignment, tires, shocks, struts and catalytic converters. House of Mufflers and Brakes offers oil changes and engine replacements, and almost everything in-between. Bettger puts plenty of personality into each video, which he says he has the time to do because Vyral Marketing does everything else for him. “I like the idea of them managing the process, maintaining my customer database, creating the emails, editing the videos, managing the structure of the page – all I have to do is film it, and I find a lot of value in that,” Bettger says. Bettger says the consistent method of creating and distributing the videos to his customer database is extremely effective in getting his message out there. “I know the more we contact our customers, the better,” he says. “The auto repair and service industry has a legacy of distrust from consumers that is difficult to overcome. “In our business, it’s really about community and trust, and the video blogs we produce certainly help establish a sense of trust between our customers and us,” Bettger says. Bettger also appreciates the analytics he can access readily that tell him how many people have opened the emails containing each video, and how many have viewed the video. The Vyral Marketing package is part of Bettger’s marketing plan revamp, which will include a new website and possibly a company name change. I know people are following the videos because we get a ton of great feedback on them – they allow us to project personality on the company,” Bettger says. John: What results have you seen on the Vyral Marketing program? Rick: For us, there are no hard measurables in this campaign. We rarely have a strict call to action. The goal for me, which is inherent in why we do this stuff with you guys, is to maintain our visibility and top of mind with our current customers. When you're in a business like ours, where you don't need to visit every day, people only come to us when they need to. So, we try to maintain contact with the customers who have come in to see us, just to remind them that we're still here. We try to reach out every couple weeks and if we have their attention for a minute, we might as well inform them, educate them, or amuse them, and that's what we're doing with this campaign. John: How do you go about measuring your ROI? 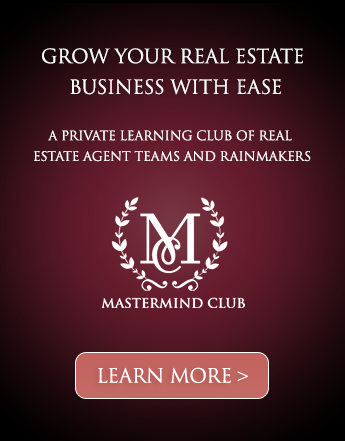 You've been under contract a long time, why do you keep paying that monthly payment? Rick: I look at the percent of how many people open our emails, that's a good measurable for us. If we send out 5,000 emails we're getting about a 15% open rate, if we send out 10,000 emails we're getting still getting a 15% open rate. So, the more videos we send out, the more people are going to be reminded of our company. For the money that we spend on that, it's a good value for us. To have that many people continue opening our emails, whenever we send them out, it tells me people are interacting with us somehow. They're becoming aware of everything House of Mufflers and Brakes does, they're getting a feel for our personality, and when the time comes to make a buying decisions, we're in their heads. John: Do you have any stories where someone gave you their business because they saw your videos? Rick: I hear of things that are in my circle. There are a lot of people in our database who are in my sphere of influence. I hear a story every week where somebody says, "I didn't know you guys were doing that!" or "It really reminded me to come in." I had six people say that to me in the last four days, who have actually brought their cars in. Whenever they see my face, or they see my name, it's a reminder that they have to take their car in. I had two friends today who brought cars in and said, "I forgot I needed to bring my car in for an oil change until I saw that video." 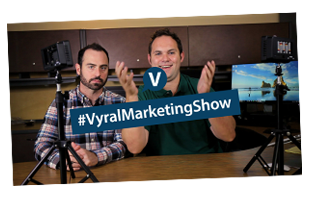 John: Why hire Vyral Marketing? Rick: The ability to manage the database and create the videos that would achieve our purpose is why we hired you guys. You do a remarkable job of producing the videos, creating the emails, and managing the database. John: You could probably do this on your own if you wanted to, why don't you? Rick: I just don't have time to worry about all the details and the editing. I've edited plenty of videos on my own, but I simply don't have the time for it. For what I'm charged, it's totally worth it to have you guys do it for me. The production value you guys bring is much better than I can do on my own or that I would care to learn how to do. I like how everybody there gets it - they get me, how my brain works. I like how flexible everybody is, how they get stuff done quickly. The turnaround time is tremendous. If I'm ready to do it and they're ready, you guys can turn it around quickly. It's nice for me because I'm pretty spontaneous. The flexibility is appreciated greatly. John: Do you have any advice for anyone who might be on the fence about hiring us? Rick: The attention to the sales process you guys give is great. The way you return data back to me that says here's what was sent, here's what was opened, here's what was clicked on - that kind of feedback is important. That's why I keep doing it. The whole package of the video production, creating the pieces to send out, and managing it on the website is a great advantage.